The black and white trend is all over the blog world (I even did a post on it recently), but today I thought I would add a twist by throwing pink in to the mix. 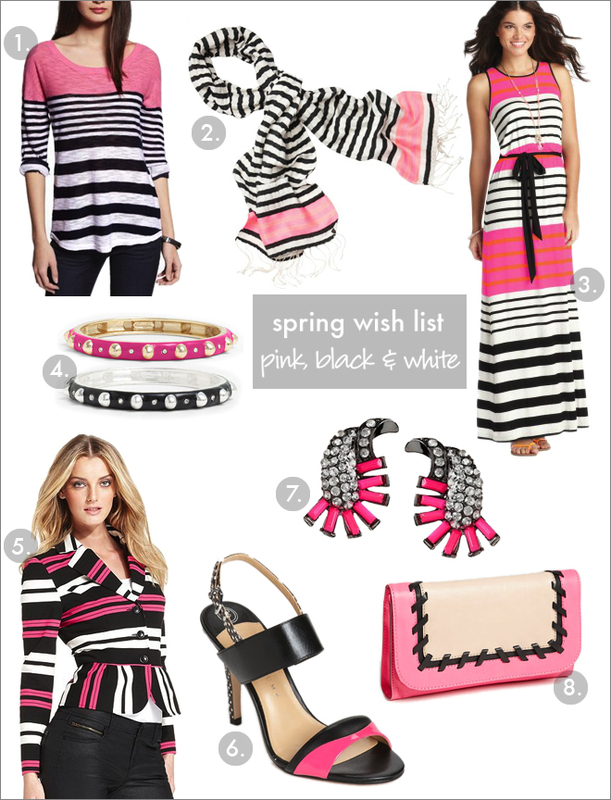 The color combo of pink, black, and white, especially in stripes seems to be another big trend this spring. It's Friday! Hope you have a great weekend! Any great plans? Thanks, Jen! My top picks are #5 (fun jacket for work this spring/summer) and #6 (I love shoes! ), and probably #3. I love maxi dresses in the summer. It was great meeting you - keep in touch!